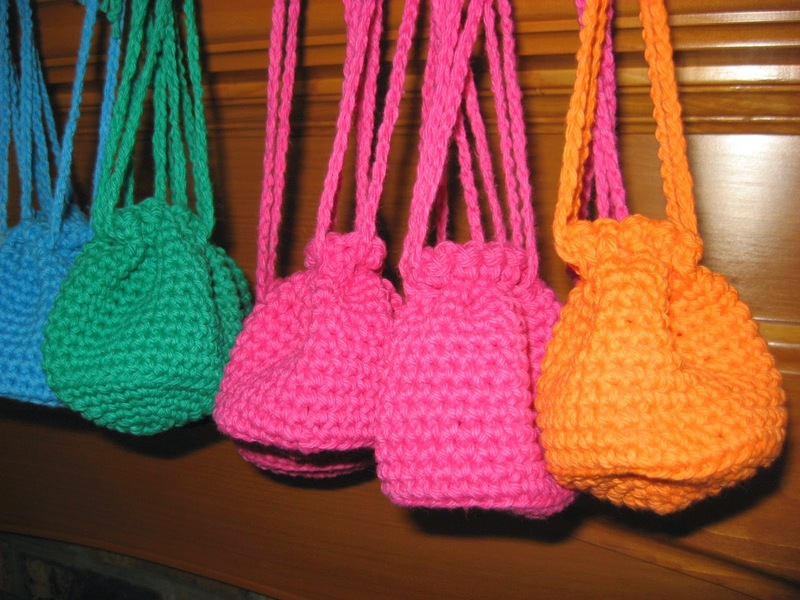 These little crocheted drawstring bags are so cute and colorful, and they make the perfect packaging for a small gift or party favor. 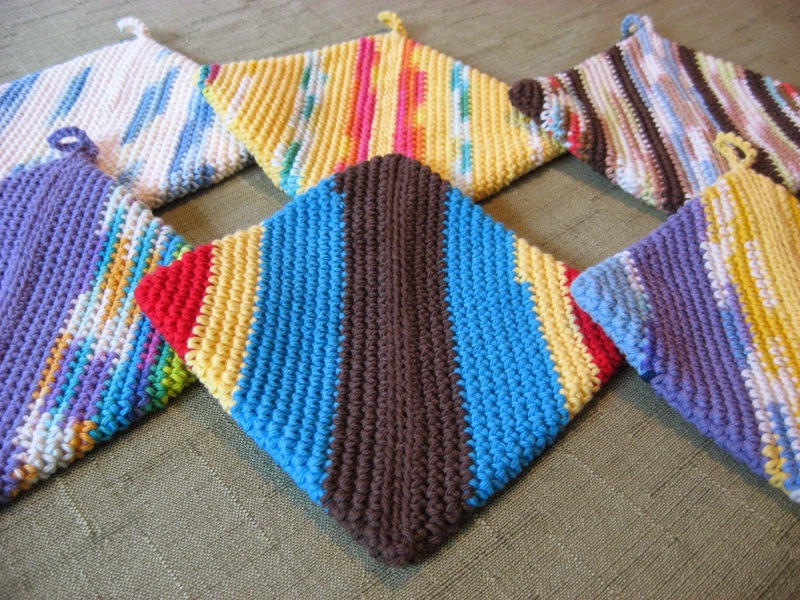 They are available over in my Etsy shop and during the summer while I am not in school, I also take custom orders for them. Go on over and take a look if you're interested. Click HERE to see the listing with more information. 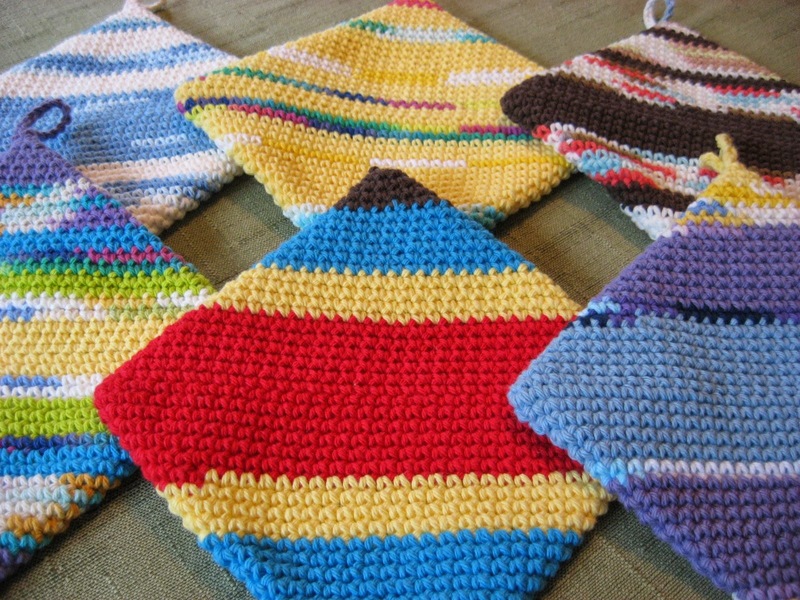 These double thick cotton pot holders or hot pads are so popular, and also very colorful! 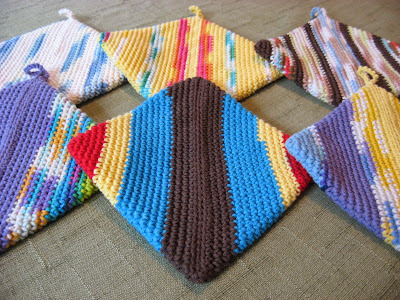 They look different on the front and back because of the magic crochet technique used to make them. They are also 100% cotton and wear like iron. You can see what's still available by clicking HERE. 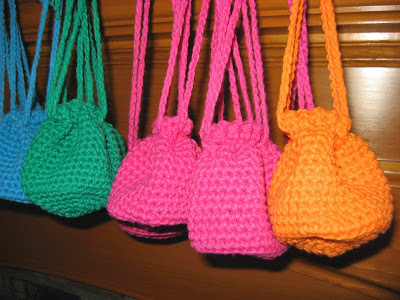 As with the little drawstring bags, during the summer while I have more free time, I am happy to take custom orders. These would make great party favors for a kitchen bridal shower or a gathering of home cooks, or just a nice gift to give yourself! 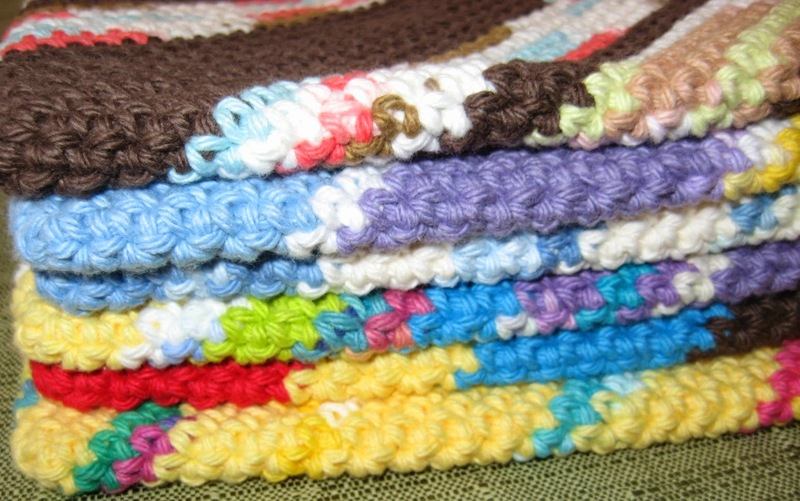 Do you have any favorite hot weather handwork? Share it in a comment below! Happy Summer! Dear Mary Grace. I just want to say that you have saved my life this week (though you were totally unaware of it), I've been looking for ways to hand sew on velvet without it being a total nightmare of bumps and furrows, your idea of the velvet sandwich is genius! Can I ask what size needle you use when you do the dresses with 6 strands of floss? your stitching in the pictures looks perfect but I wonder do you need to smooth out each stitch as you pull the thread through? I appreciate your advice and will look forward to hearing from you.